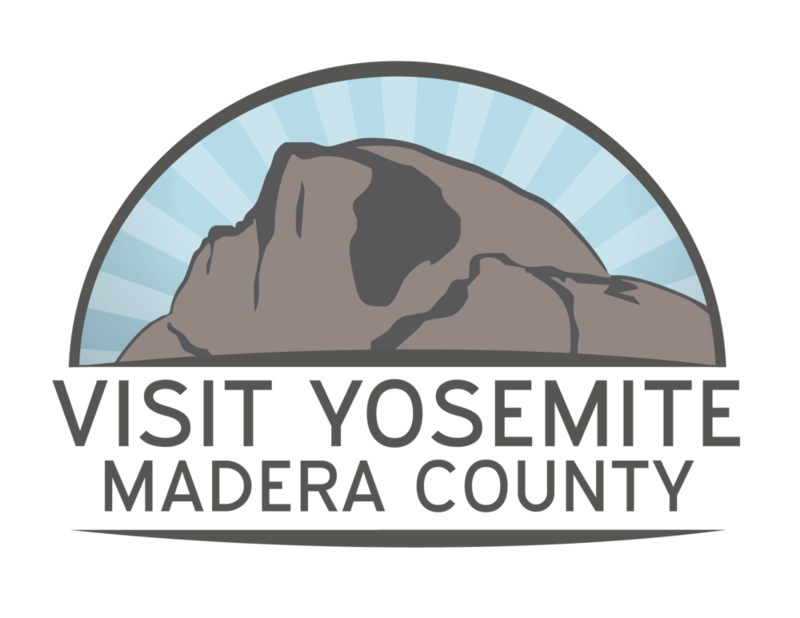 Visit the Giant Forest Museum in a historic market building located in the Giant Forest sequoia grove just 16 miles from the Ash Mountain Entrance along Highway 198/Generals Highway. The Museum serves as the hub for all in-park Sequoia Shuttles that take visitors to a variety of attractions within Sequoia National Park. Spectacular views of the Great Western Divide and western half of the Park await you atop this giant granite dome. 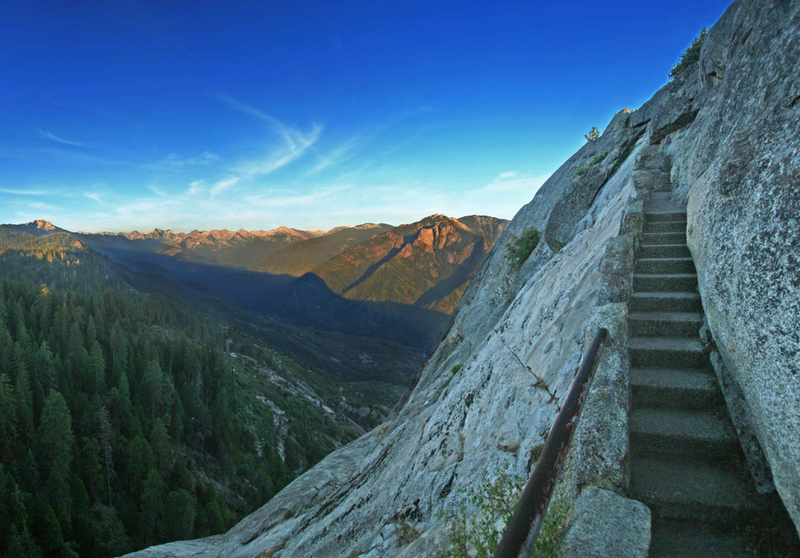 Trust us: the steep 1/4 mile staircase to the summit is well worth the photo op at the top. And it's only 400 steps! This exciting Sequoia attraction was formed in 1937 when a Giant Sequoia fell across the road near Crescent Meadow and Moro Rock. 17 feet wide and 8 feet high, many vehicles passing through to the meadow journey through/underneath the tree! The General Sherman Tree Loop 1/2 mile trail descends upon some of the most magnificent trees in the National Park and culminates at the base of the General Sherman Tree--the world's largest living thing. Relax at convenient benches that line the trail along the way. If you only have time to do one thing in the Sequoias, choose this! Located in the heart of the Park, Wuksachi Village offers visitors and lodge guests the perfect retreat to reconnect with family, friends and the great outdoors! Step outside the lodge, peer up at the Giants and get a glimpse into mountain life. Explore the agricultural bounty of the Visalia area with a farm tour at Historic Seven Sycamores Ranch. Take a hayride, pick fruit in-season and enjoy the beautiful surroundings of Central Valley agriculture. With more than 250 crops produced in Tulare County each year, visitors are sure to experience unique flavors at the city's restaurants, which pride themselves on creating locally-produced masterpieces. For a complete list of locally-owned restaurants, visit us online at www.VisitVisalia.com/Dine. If your itinerary allows, be sure to experience Visalia's lively art scene, take in a Visalia Rawhide Professional Baseball game and Downtown walking tour, as well as one of the many festivals and events that have shaped the Sequoia region into a vibrant cluster of communities. For a complete list of Things To Do go to www.VisitVisalia.com. Sequoia National Park's majestic, towering forests will have definitely have visitors looking skyward at the big trees, but don't forget to look down, too. One of 270 caves hidden throughout the park, Crystal Cave offers visitors a remarkable peek beneath the surface of the Sierras. Formed of marble, Crystal Cave in California's Sequoia National Park is decorated with curtains of icicle-like stalactites and mounds of stalagmites. Take a scenic drive to Mineral King in Sequoia National Park for sweeping views and vistas of the East Fork of the Kaweah River and adjacent mountains. The road is not for the faint of heart, as it ascends in tight curves for 25 miles (1.5 hours one-way) along a steep, narrow road. The drive, while daunting, is well worth your time. At the end of the road you will be rewarded with the opportunity to hike or peer into some of the most stunning and accessible high country in the Sierra Nevada. Tucked three miles deep into the grove of Sequoias just behind the Giant Forest Museum, this meadow is one of the Park's hidden gems. Praised by Naturalist John Muir and many others, visitors can now visit the meadow by way of shuttle, which also passes by Tunnel Log and Moro Rock on the way. 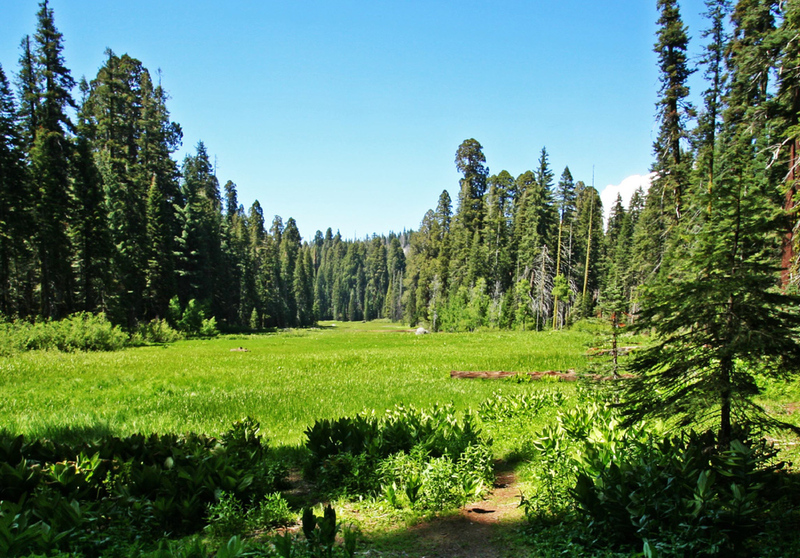 Pack your picnic and enjoy the untouched beauty of this Sequoia-surrounded meadow. 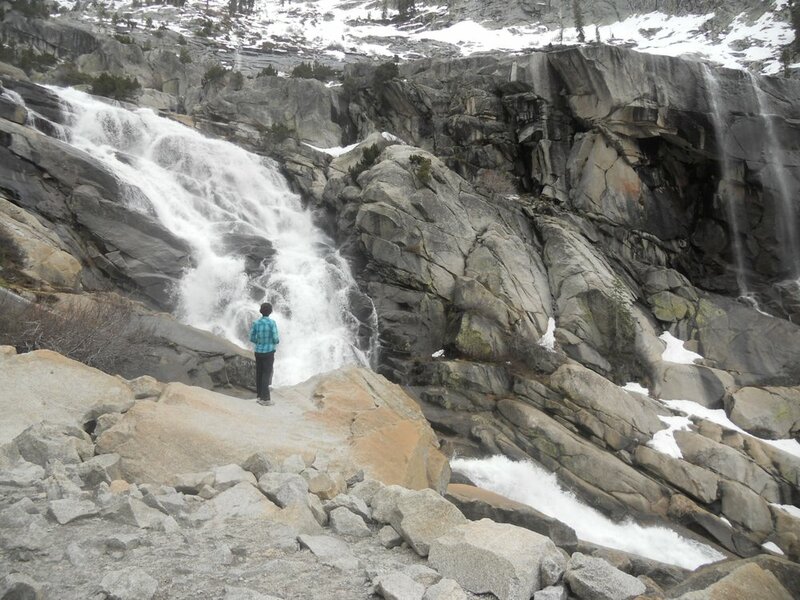 Cascading 1200 ft. over the Marble Fork of the Kaweah River, Tokopah Falls is one of Sequoia's most stunning sites. From its trailhead at the Lodgepole Campground, this 3.4 mile round-trip hike is an easy walk along the Kaweah River to the impressive granite cliffs and waterfall of Tokopah Canyon.